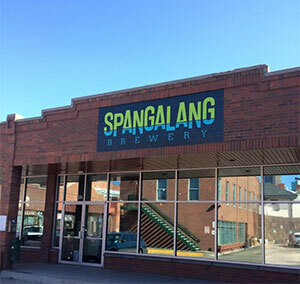 Our mission here at Spangalang Brewery is to brew fresh, high quality micro brewed beer in a lively, inviting neighborhood atmosphere. It is our sentiment that craft beer is like bread, it’s best when it’s fresh! Former Great Divide craft brewers Austin Wiley, Darren Boyd and Taylor Rees opened jazz-themed Spangalang Brewery at Five Points, former Denver RMV. Here at Spangalang we focus on quality and freshness above all else. We want our customers to enjoy our craft beer the way we get to, the way it should be, fresh and properly handled.